← What about Economic Competitive Intelligence? 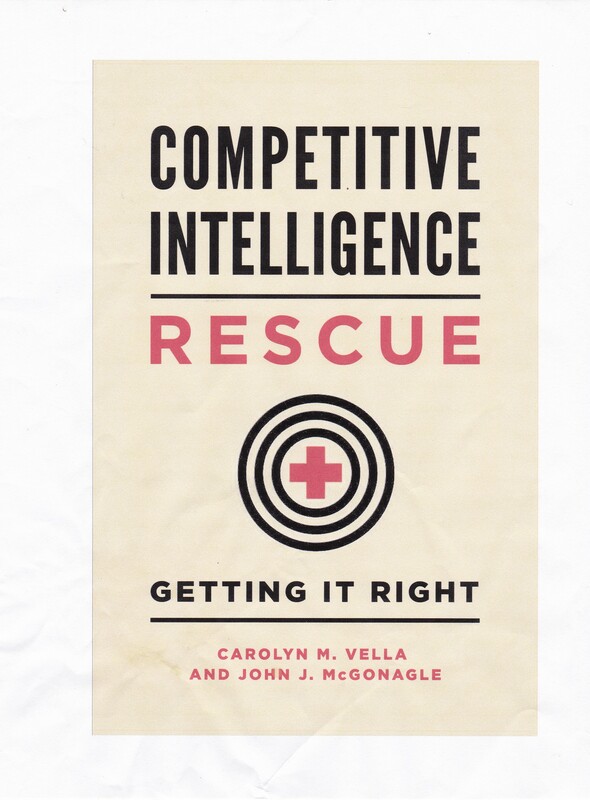 Recent events seem to indicate changes in management and the economy that, in turn, should result in some changes in competitive intelligence. In spite of what they initially look like, they do not portend the demise of CI, but rather the need for reshaping of targets and techniques. Some companies are becoming more “open”. According to a recent Fortune article, by that, they mean that they share more “confidential” information with their employees, such as their salaries, and that they may even be doing so with their competitors. This sounds, at first, like it would eliminate the need for competitive intelligence. Why do you need to develop CI on your competitors when they will tell you what they are doing anyway? Well, there are several problems with that, ignoring the threat of disinformation. First they may be telling you what they would becomfortable withnyou knowing. Aren’t they more likely to tell you headcount and thev employee benefits package than they are to tell you acquisition and expansion plans or new product and service initiatives currently being researched. This attitude among companies simply changes the target for your CI – it doesn’t eliminate the need. You still need to know where they are going, but maybe not so much where they are. Another article in Fortune raises an interesting issue, the increasing speed with which programs (bots) can pick up changes on the Internet. In one case, a program picked up an accidental disclosure, an hour early, of an earnings report. Within 3 seconds of the posting, the bots had synthesized the information into a Tweet. “Four seconds after that the market was moving”. So, lets just rely on these bots to collect our CI, right? Not so fast. This bot picked up on the data, but the market moved because the data was acted on. Such software does not replace CI research and analysis. Nor can it “elicit” critical data from a careful interview. The bots only collect and report data that has been released, whether authorized or unauthorized, and whether of value or not. This kind of tool replaces CI to the same extent that electric saw replaces a carpenter. It is merely a tool, giving CI professionals an opportunity to locate, digest, and benefit from mistakes of competitors. There have been much written and said about the last several years’ pattern of mergers and acquisitions resulting in higher levels of concentration in many US industries. For example, the US airline industry is down to a mere handful of airlines when compared with 10-15 years ago. The same is true for the US auto industry, which may shrink still further in the near future. Right now, we see efforts to stop a merger in the US office supply industry and expressions of concern about a pending mega-merger in the beer industry. In the latter case, reports indicate that, in at least one non-US country the merger would result in having 95% of the market controlled by one company. As I recall from economics classes in college, that a monopoly. The rest of these may well be called duopolies or oligopolies. For example, with the airline industry, CI’s targeting may well have to shift from fares and fees to developing CI on members of supply chains providing competitors with equipment, services, and passengers. For the office supply industry, there are already indications that its concentration may not help, as small business owners are increasingly shopping at non-office supply stores like Costco. Regardless of the merger’s outcome, that means a need to broaden CI targeting. With respect to the beer industry, even the largest firms must keep an eye out for small firms, the micro brewers, craft breweries, and the like that either can grow into major competitors or, frankly, choose to compete on a different basis. In other words, they could become stealth competitors or outright disruptors. Are monopolies, duopolies and oligopolies really that vulnerable? Yes. If you don’t think that is right, take a look at the articles written in business and academic journals about the future of OPEC, the organization of petroleum exporting come countries, during the “Arab oil boycott” in the 1970s. There a handful of countries controlled the organization, OPEC, that then controlled much of the oil in the world. That boycott resulted in crushing pressures on the economies of nations that supported Israel. Today we see Saudi Arabia, the leader of OPEC, positioning itself to try to destroy the US fracking industry in the hope of somehow restoring the power of OPEC and therefore raising the value of its oil (and that of OPEC members) from the current $20 or to $100 or more. The difference – the loss of billions of dollars per year for each OPEC member. The cause of the financial and political damage – disruptive and unanticipated competition from an unexpected source, a former major importer of oil, the United States, now using a previously unexploited technology, fracking. Geoff Colvin, The Benefit of Baring It All, Fortune, Dec. 15, 2015. Jen Wieczner, Trading on Tweets, Fortune, Dec. 15, 2015. Nathan Layne and Nandita Bose, “Bulk retailers are hurting business at office supply stores, Reuters, Feb. 5, 2015, http://www.businessinsider.com/r-shift-in-small-business-spending-may-curb-staples-office-depot-growth-2015-2. The Arab-dominated Organization of Petroleum Exporting Countries (OPEC) decided to cut oil exports to the nations that provided military aid to Israel in the Yom Kippur War of October 1973. That group included the United States.